Well, we had another inspirational evening on the occasion of the 3rd BE Happiness Day ! Here are some pics from the event that took place this thursday March 19th @ the Proximus Tower. Stay connected to get more insights from the great debate we had with Martin Meissonnier (director of the movie "Le Bonheur au Travail », co-produced by Arte and RTBF), Laurent Ledoux (President FOD/SPF Mobility), Angélique Heusicom and Jean-Claude Grauls (FOD/SPF Social Security). And join the Happy Organizations without any further delay (just send us an email via this link) ! 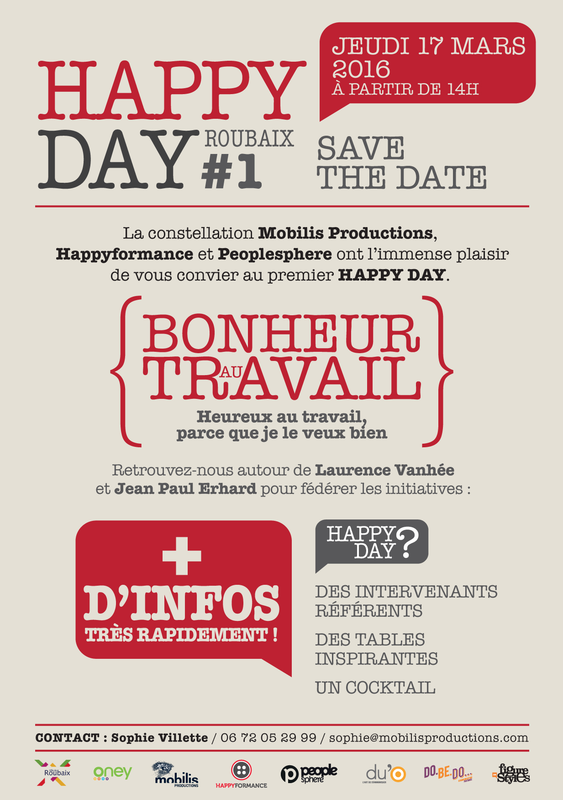 Let's celebrate Happiness at Work!